This page is the archived News Page from the January to March 2018 period. 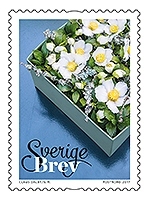 All contents have been dispatched in the respective stamp description pages. However there may still be open questions. Any complementary information remains welcome. As soon as an information is archived, the text will not be changed anymore. So if additional information are linked to the below, this will be displayed as a new heading in the currently open News page. Beside this issue, nothing else appeared since the Hong Kong-Zhuhai-Macao bridge series released by Hong Kong, PR China and Macao on February 26, 2018. Jaap Sarelse (The Netherlands) and Rindert Paalman (The Netherlands) inquired at the Macedonia and Kosovo postal administrations about the Albanian military hero George Castriot stamps issued by Macedonia on January 10, 2018 and by Kosovo on January 17, 2018. It appears that these countries do not recognized this issue as joint and therefore it will have to be removed from our catalogue. 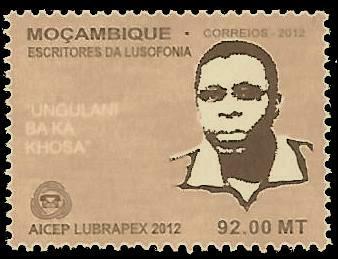 Don Birschel (USA) could finally provide a copy (with the close to correct colors) of the Mozambique stamp (Lusitanian writers issue) released on October 9, 2012. 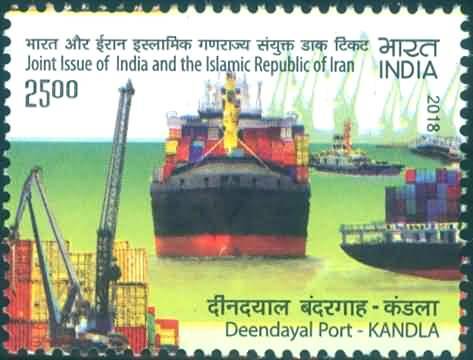 Mansoor Moazzeni (Iran) discovered a series of souvenir sheets issued by Grenada (August 26, 2002, 3 souvenir sheets), Liberia (August 26, 2002, 3 souvenir sheets), Maldives (November 18, 2002, 6 souvenir sheets), Palau (November 19, 2002, 1 souvenir sheet) with a similar design (Teddy bear shape souvenir sheet) for some of them and dedicated to the 100th anniversary of the Teddy Bear. There is no postal relationship between this event and the postal administrations, so we cannot refer to this issue as a joint issue, but we will report it in the series of omnibus series. 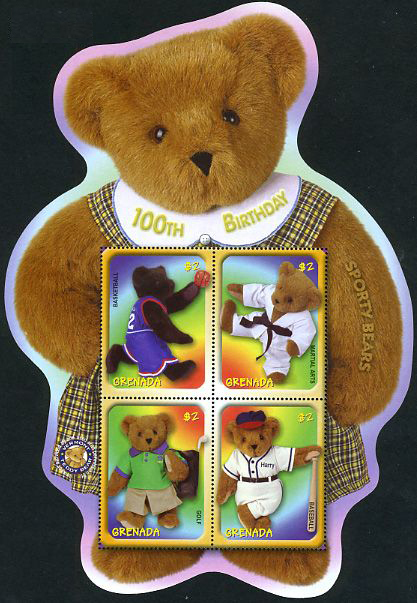 Other countries such as Gambia, Grenadines of Grenada, Micronesia, Sierra Leone, issued also Teddy bear stamps during the year 2002, but the designs are completely different (no Teddy bear shape). The Grenadines of Grenada and Micronesia souvenir sheets (both issued on September 23, 2002) show a heart shape. 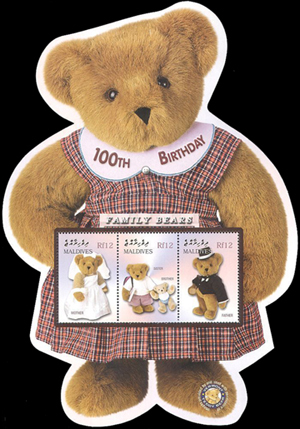 Additional Teddy bear stamps and souvenir sheets with different designs were issued during the following year 2003 including Dominica, Gambia, Nevis, Sierra Leone, Saint Kitts and Turks and Caicos, up to the issue of the already reported 2003 series of embroided fabric teddy bear stamps series from April 29, 2003 involving Gambia, Grenada, Sierra Leone and Saint Vincent and Grenadines. 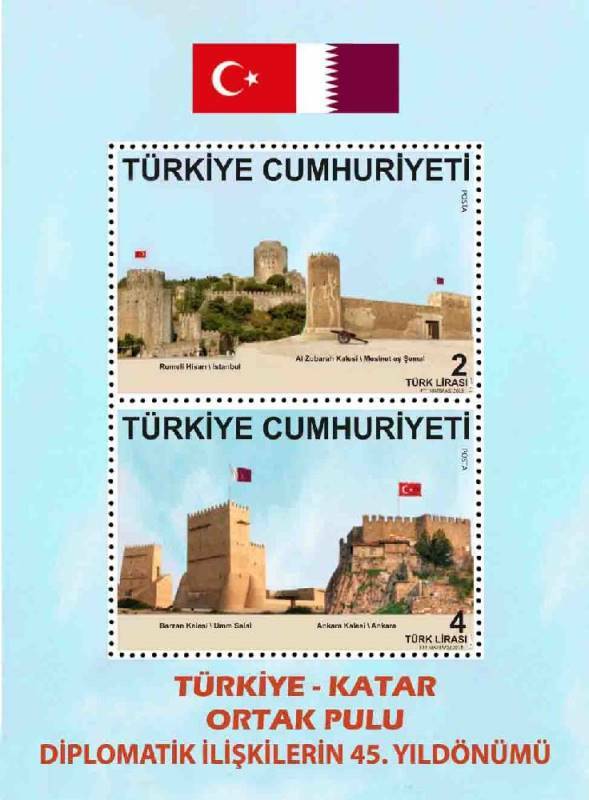 The Turkey Qatar stamps were issued on February 21, 2018 (first information was provided by Grzegorz Omelanczuk, Poland). Information is now available for both countries on the Turkish postal administration web site. The Qatar souvenir sheet (82x112 mm) was produced apparently only at 2,500 samples, while 100,000 samples of the Turkish souvenir sheet are available. 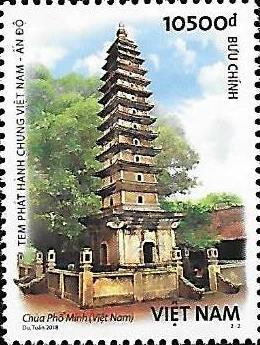 Eric Chan (Hong Kong) continues to explore Mozambique and he discovered two new stamps that are definitely part of existing AICEP series that have not been reported so far. 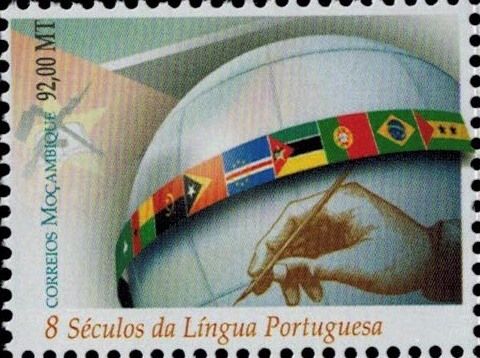 The first Mozambique stamp completes the May 5, 2014 Portuguese language series. The second one is part of the April 27, 2015 AICEP series and surprisingly was printed with slightly different colors. Exact dates of issue remain unknown. 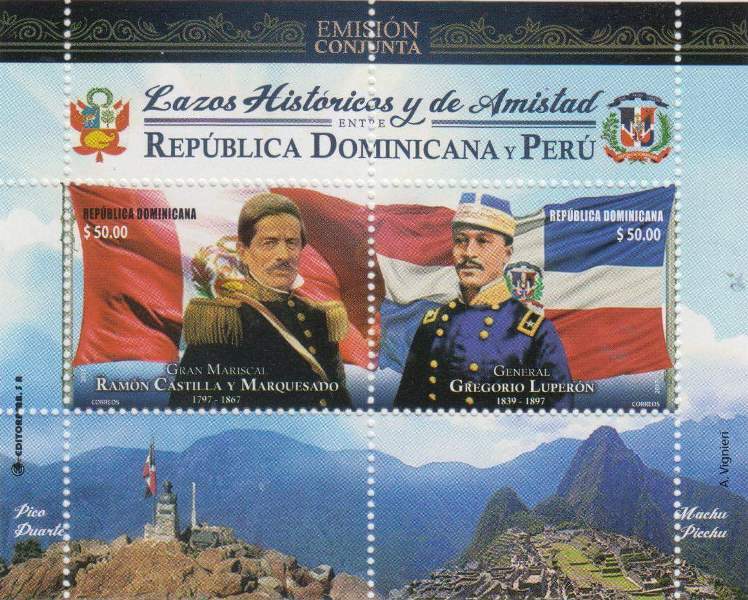 For these series we are still missing Angola and Timor Leste stamps. 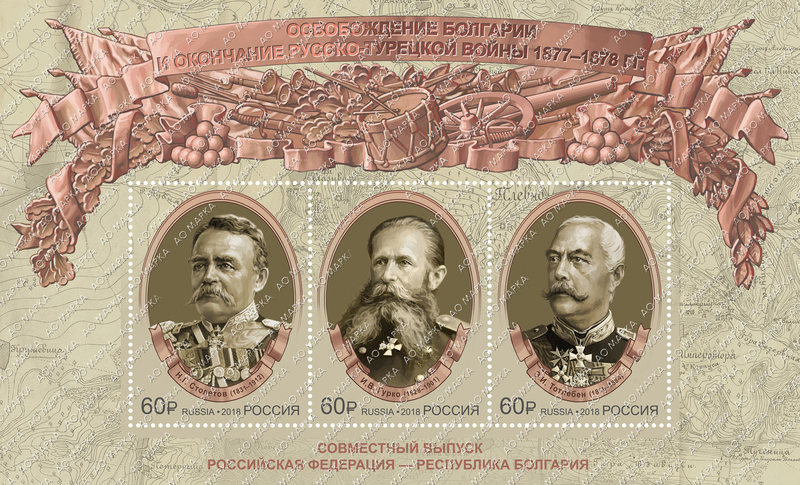 The stamps from these countries probably do exist as well. Anyway thanks Eric, this is a major discovery. 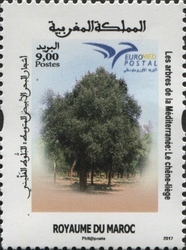 For the Euromed PUMed issue from July 10, 2017, we missed so far Morocco, which issued a stamp on August 16, 2017. 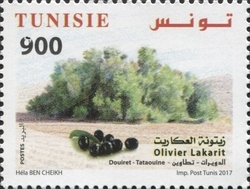 We missed also Tunisia which produced two stamps on July 10, 2017. 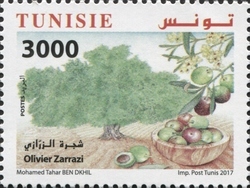 Note that the stamps from Jordan and Tunisia do not bear the Euromed logo. 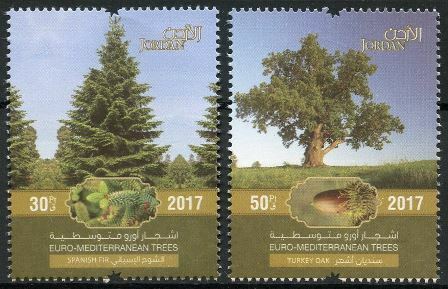 However both countries appear on the official web site of the EuroMED postal organization: https://euromed-postal.org/stamps.php?year=2017 and therefore we have to include them in the series that includes now 11 countries: Croatia - Cyprus - France - Greece (June 27) - Jordan - Lebanon (July 8) - Malta - Morocco (August 16) - Portugal - Slovenia - Tunisia (all stamps issued on July 10, 2017, except Greece, Lebanon and Morocco. 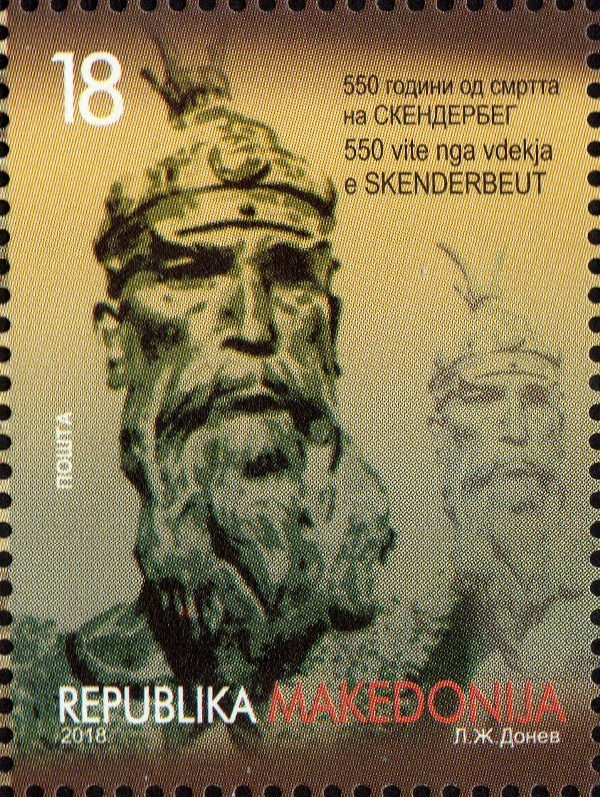 On January 10, 2018, Macedonia issued a stamps showing a portrait of George Castriot, an Albanian military hero also known under the name Skanderbeg, who died 550 years ago. 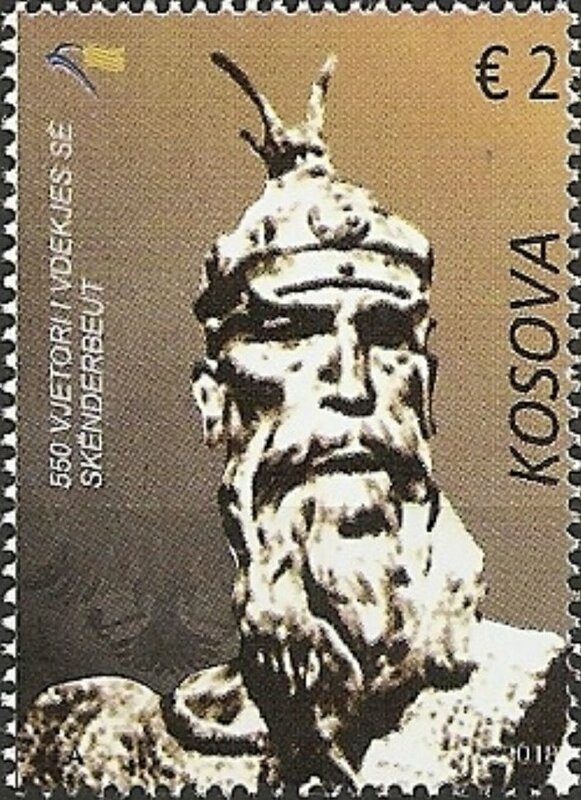 Kosovo issued exactly the same portrait, unfortunately the exact date of issue remains unknown so far (information provided by Lan Chun Yi, Malaysia). 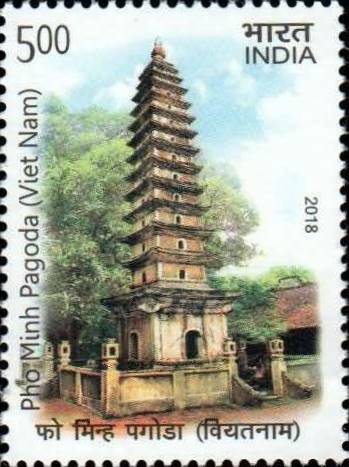 Don Birschel (USA) provided a set of better images (perforate and imperforate) of the Vietnamese stamps issued on January 25, 2018, together with India. The Indian stamps are available on the website of the Indian postal administration. 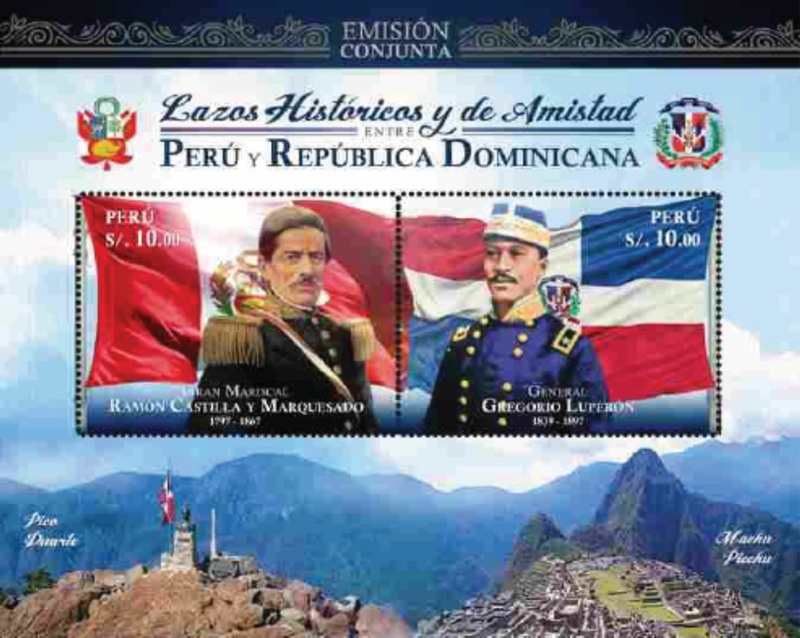 The Peru and Dominican Republic souvenir sheets were issued on February 7, 2018 (information and pictures provided by Grzegorz Omelanczuk, Poland). 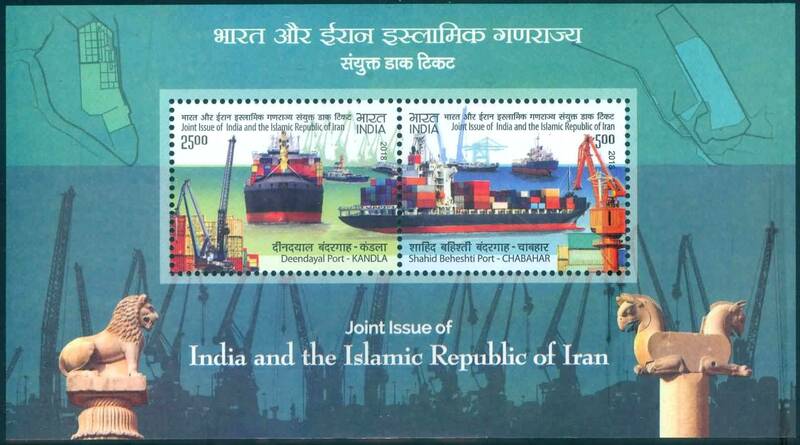 Lan Chun Yi (Malaysia) was the first to inform us about the existence of a joint issue between India and Iran released on February 17, 2018 and Don Birschel (USA) provided the first images of the Indian stamps. 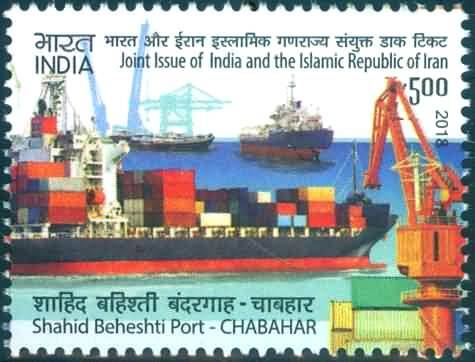 Stamps depict the harbors of Deendayal in Kandla (India) and Shahid Beheshti Port in Chabahar (Iran). 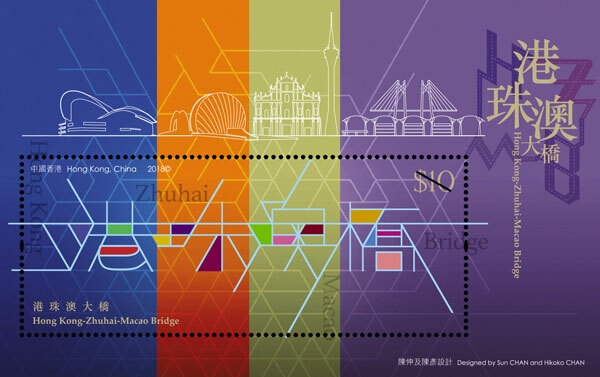 To commemorate the opening of the Hong Kong-Zhuhai-Macao Bridge, Hongkong Post issues on February 26, 2018 a set of four commemorative stamps and a souvenir sheet to mark this important occasion. PR China and Macao participate also to this postal event. 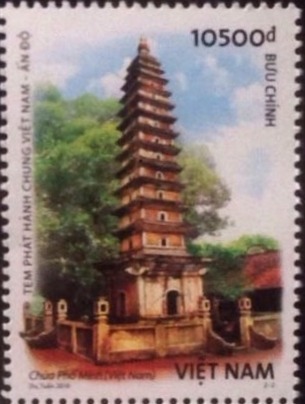 The design of the set of four Hong Kong stamps is based on the name of the Hong Kong-Zhuhai-Macao Bridge: H for Hong Kong and the Chinese character of “Kong” on the $2 stamp; Z for Zhuhai and the Chinese character of “Zhu” on the $3.7 stamp; M for Macao and the first character of the Chinese name of Macao on the $4.9 stamp; and B for Bridge and the Chinese character of “bridge” on the $5 stamp. 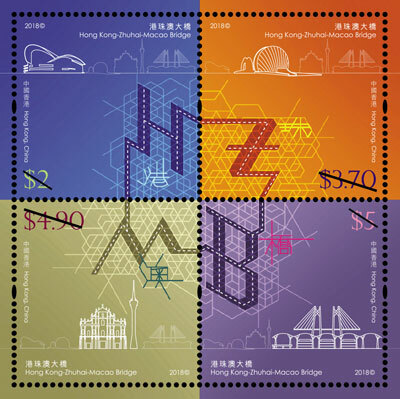 The grid line pattern in the background of the stamps connects the four stamps together, complemented by the iconic architecture of each city and the outline of the bridge, signifying that the road network closely links up and integrates the Hong Kong-Zhuhai-Macao Greater Bay Area. China Post, Hongkong Post and Macao Post issue a Joint Souvenir Pack which contains a set of three China stamps at RMB ￥1.20, ￥1.50 and ￥1.50; a set of three Macao stamps at MOP $2, $3 and $5.50; and a set of three Hong Kong stamps at HKD $2, $3.70 and $4.90. 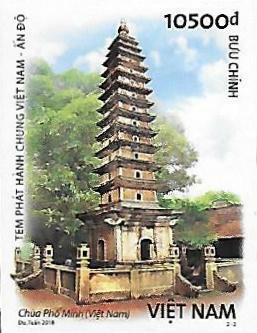 The designs of the Hong Kong stamps in the Joint Souvenir Pack are different from those of the commemorative stamps on the theme of “Hong Kong-Zhuhai-Macao Bridge”, and these stamps are available only in the form of this joint souvenir pack (information provided by Lan Chun Yi, Malaysia and Rindert Paalman, the Netherlands). 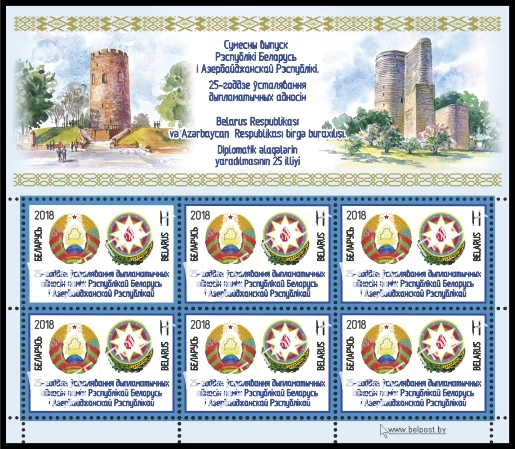 Grzegorz Omelanczuk provided the first image of the Belarus stamps to be issued in April 2018 together with Azerbaijan. Finally I would like to mention a special article I could publish recently. Almost one year ago, I received a request from Rita Drach (USA) to define the first joint issue. Actually this is not obvious as the definition of joint issue evolved over time, from colonial or territorial issue to omnibus series and finally to true joint issues divided in subgroups including twin, concerted and parallel issues. It took me some time to perform the identification as there is not a single answer, even with the help of the updated catalogue. Eventually I decided to compile all this information and to write an article that was accepted for publication by the French philatelic newspaper "Timbres Magazine" in the issue of February 2018. This five pages article can be downloaded here. It is unfortunately in French, but at least the illustrations will help to understand the text. If I have some time, I will try to translate it in English. Have a good reading (or deciphering). 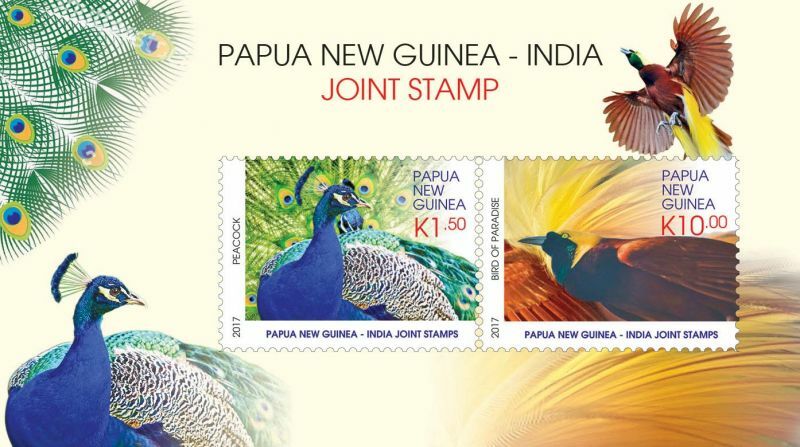 The Papua New Guinea stamps from the joint issue with India were finally also released on December 30, 2017, making this joint issue a twin issue (proven by first day cancelled covers). 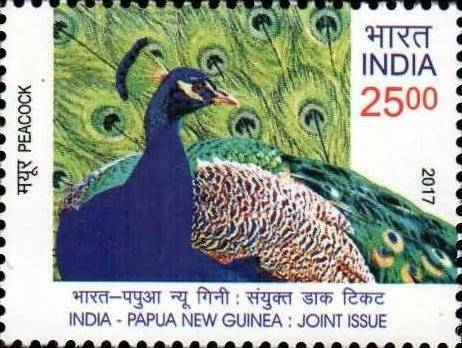 - the Armenia - India joint issue initially scheduled in 2017, is now proposed for issuance on March 21, 2018 with a theme of Dances. 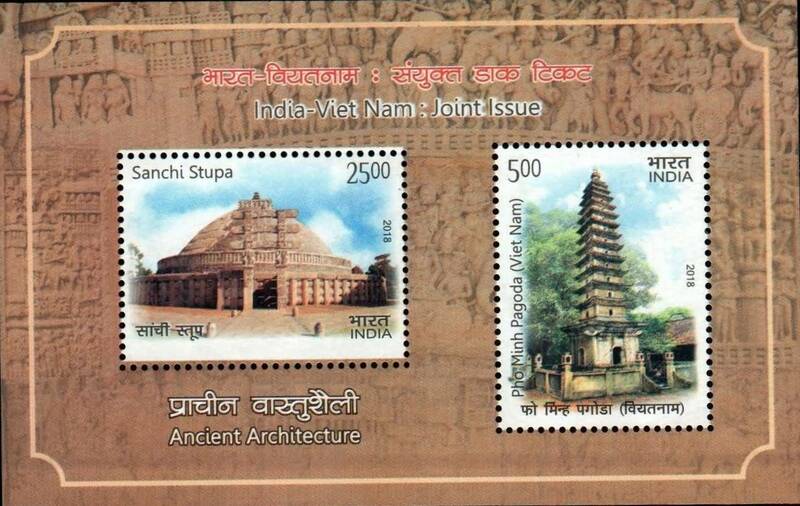 - and finally Niket was the first to announce the joint issue between India and Vietnam that was issued January 25, 2018, while Don Birschel (USA) provided the first pictures. 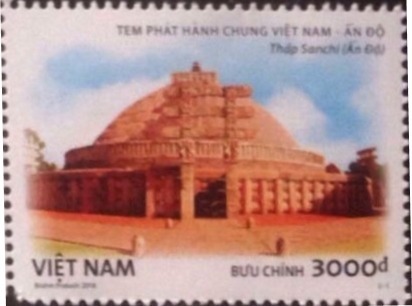 The vietnamese stamps have been issued as non-perforated stamps as well. We are still looking for better quality pictures. Don Birschel (USA) has also been reading Sri Lanka blogs, and it appears they are angry over the fact that on the date of the joint issue Russia placed a ban on tea and other agricultural products from Sri Lanka because a rare beetle was discovered in a shipment. 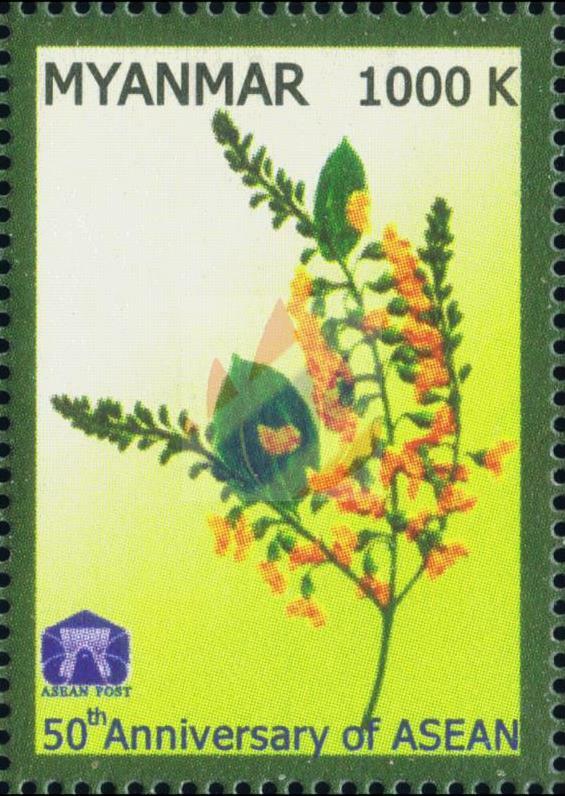 Sri Lanka has not issued their stamps which was to take place December 21, 2017. 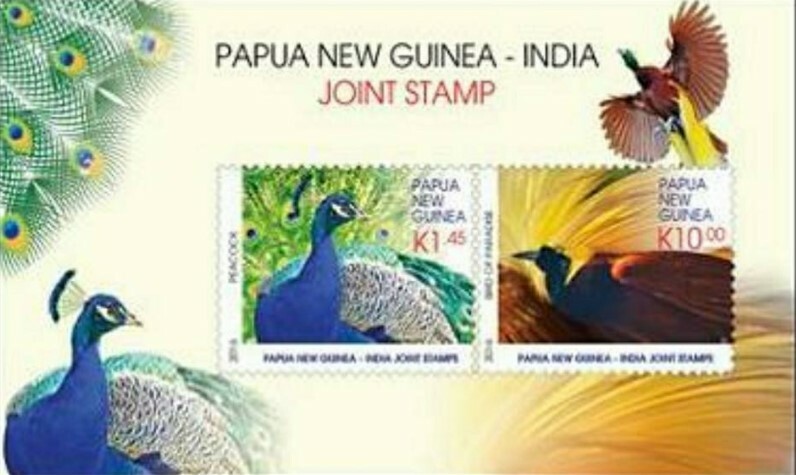 So we should expect some delay until the Sri Lanka stamps are released, with the hope that it does not transform in a unilateral issue for political reasons, similarly to the failed 2016 Ecuador - Israel joint issue. Grzegorz Omelanczuk was the first to mention the next Dominican Republic - Peru joint issue to be released probably on February 7, 2018. Jaap Sarelse (The Netherlands) contacted both postal administrations and got from Dominican Republic the confirmation that the stamp will be joint. 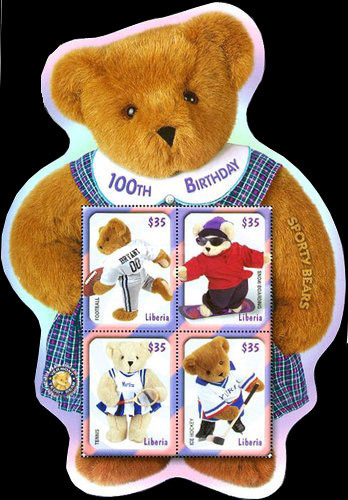 In the meantime the Peruvian miniature sheet design became available. 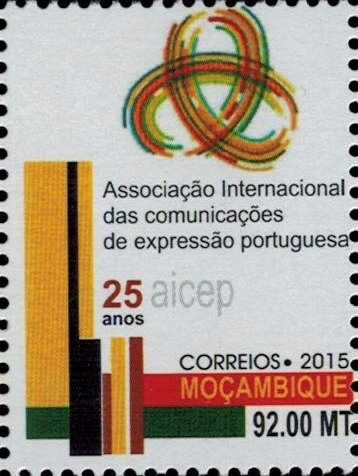 Eric Chan (Hong Kong) could bring back also this very interesting information: One of his friends has recently visited the philatelic bureau in Maputo, Mozambique, and found stocks of AICEP issues from 2010, 2012, 2015 as well as the 800th anniversary of Portuguese Language issue from 2014. 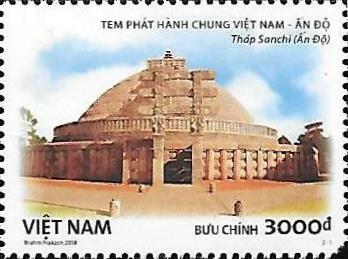 He could even collect technical details of the October 9, 2012 AICEP issue, for which we had seen so far only a cancelled stamp and a reproduction in the Scott catalogue. 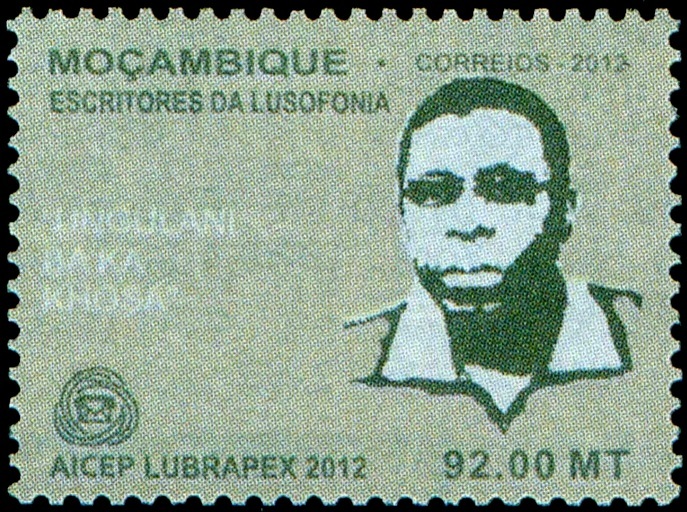 This "Tribute to the Lusophone culture" stamp was priinted at 20,000 samples and represent the portrait of the writer Ungulani Ba Ka Khosa (1957- ). 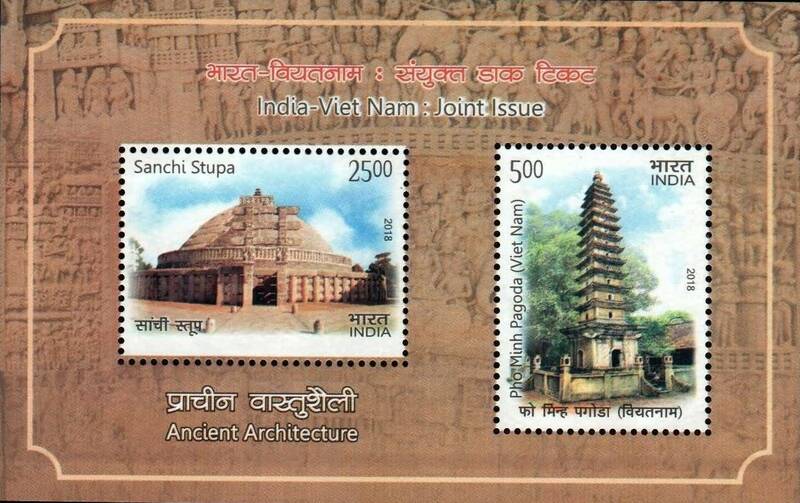 Just as a reminder, here is the represntation of the stamp, not in the best color quality (should be more brown). 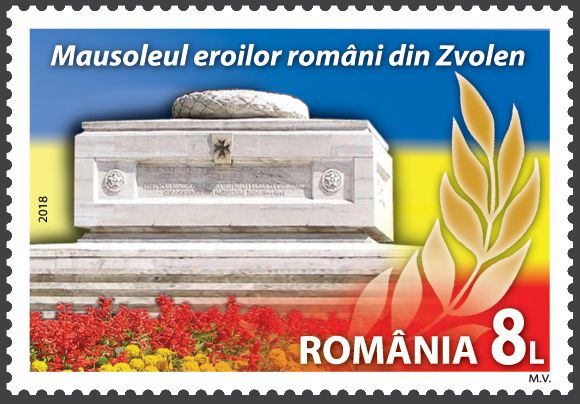 The Romania - Slovakia joint issue celebrating the 25th anniversary of relationship between both countries was released as planned on January 5, 2018. Romania issued stamps in miniature sheets of 5 stamps [3x2] with top central space replaced by a label while Slovakia produced miniature sheets of 8 stamps [2x4]. 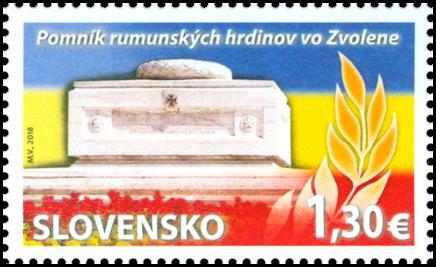 Both stamps are identical and represent the mausoleum built in the Romanian military cemetery in Zvolen, Slovakia. The publication of the latest news from 2017 raised some reaction from several collectors who provided additional information about missing 2017 issues. 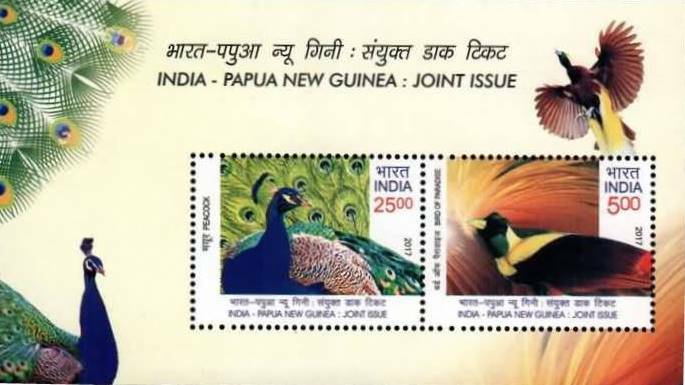 In particular Jaap Sarelse (The Netherlands) who contacted the Sri Lanka postal administration was told that the Sri Lanka stamps from the joint issue with Russia (December 18, 2017) have in fact not yet been issued and there is not yet an official date of issue fixed. 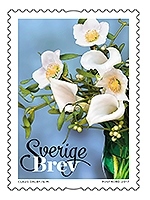 However they did not claim they would not issue these stamps but as a result, this pair will have to be considered as Concerted and not anymore a Twin issue. We will inform you as soon as we know more. 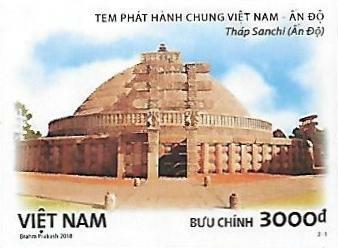 From Martin Lund (Denmark), Myanmar has issued on November 11, 2017 a stamp part of the ASEAN 50th anniversary series from August 8, 2017. Only Brunei is missing now from this series. 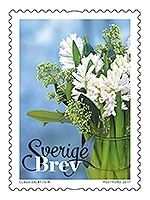 Despite the fact that the winter flowers series from Denmark (issued September 26, 2017) and Sweden (issued November 16, 2017) are very similar (actually based on the same photographs), we will not consider these stamps as joint for two main reasons: this is not a commemorative issue and both Swedish and Danish post are run by the same operator PostNord which controls also the production of stamps from both countries. 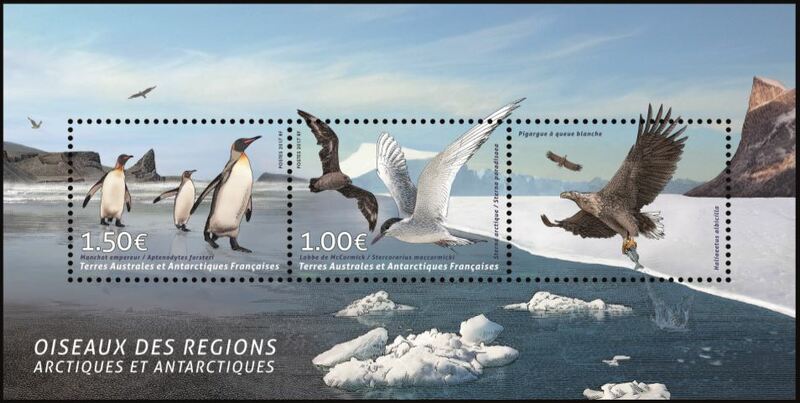 The joint issue between the French Arctic and Antarctic Territories and Greenland issued on October 27, 2017 bears a true error on one French stamp. 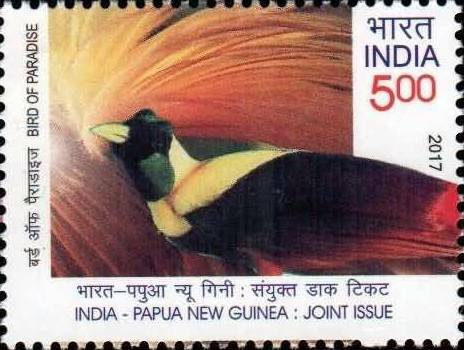 The penguin represented on the first stamp is erroneously described as an Emperor penguin (Aptenodytes forsteri). In fact this penguin is a King penguin (Aptenodytes patagonicus). 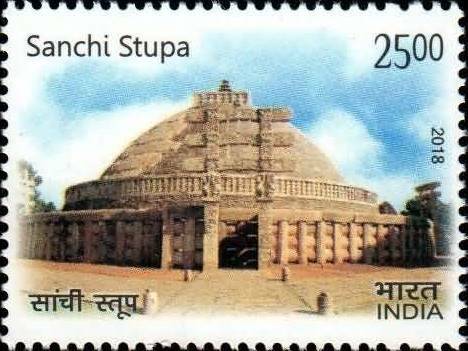 This error on stamp is probably the first appearing on a twin issue. 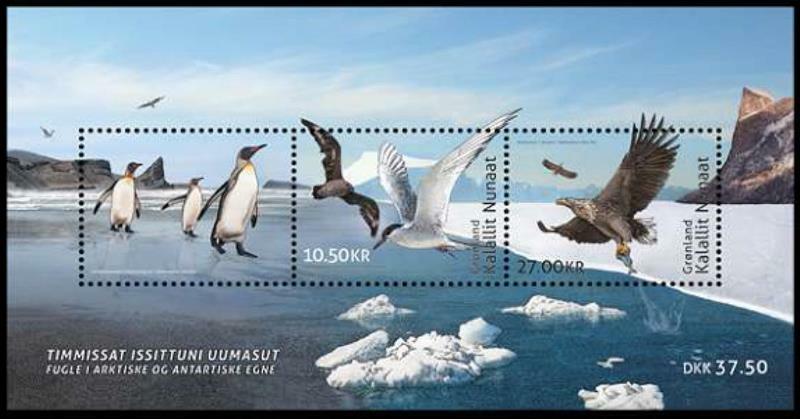 However the error is not present on a stamp from the Greenland souvenir sheet, as in this case the penguins are only represented on a label, not a stamp. 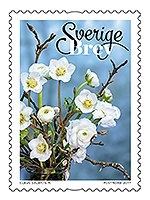 In this series only the middle stamp (skuas) is common. The News from the period October to December 2017 have been archived.